Walking around Walt Disney World on a summer day feels about as close as you can get to sitting on the surface of the sun. The sweltering heat and stifling humidity is ready and waiting to reduce you into a living and breathing sweat puddle, sluggishly inching your way from one attraction to the next. Odds are if you’ve vacationed at Walt Disney World outside of the winter months (and sometimes even in the middle of our “winter”), you have experienced this kind of day where perspiration is par for the course and you’d like nothing more than to dive into a pool filled with melting ice cubes. Excessive heat can be wildly uncomfortable at best and life-threateningly dangerous at worst. With a little advanced planning, you can keep one step ahead of the heat and never find yourself roasting in misery. Here are 8 ways to beat the heat and keep your cool at Walt Disney World! Available for purchase online on sites like Amazon or at your local drug store, these baby-wipe-like towelettes provide fast relief on a hot day. They are meant to be portable—packaged small enough to toss into your bag—and are a quick and convenient way to wipe the sweat away while leaving a lingering cooling sensation behind. Typically, these towelettes consist of a combination of natural cooling herbs, moisturizing botanicals and essential oils so you’ll undoubtedly be treating your skin and your nose to a clean-scented, pleasant smell during use. Keeping these handy on a hot Disney day is a perfect way to refresh your skin and deliver instant cool energy. I rarely make impulse buys EVER, but there was a particular Magic Kingdom day with grueling heat and I was convinced I needed the Disney-themed mist-spray fan for basic survival. I do not regret this purchase because it travels with me now on almost every Disney trip and I have no doubt gotten my money’s worth. Fill the bottle full of cold water, turn the fan switch on, and squirt away! Many a park guest has approached me and asked where they too can get this delightfully inventive little device when they see our smiling happy faces in the middle of a scorching park day. These bottles are harder to come by at Hollywood Studios (when asked, the Cast Member said that Magic Kingdom gets first priority in shipments and they sell like hot cakes, no surprise there!) so if you are looking for them you are practically guaranteed to find them at various places inside Magic Kingdom (souvenir shops, mobile carts, etc.). I’ve also seen them readily available inside Epcot. Of course, you can also find non-Disney spray mist fans at your local retail stores. This one seems smack-your-head obvious, but it’s easy to get distracted inside the Disney Parks and find yourself slowly becoming dehydrated. Each member of my family carries in their own bottle of water and then once we run out of that, we ask for a cup of (free) ice water at the food stands throughout the park. Getting a heavily-iced cup of water is great because that ice will continue to melt and quench your body with refreshing H2O. Also important to keep in mind—although that soda or Starbucks iced coffee drink may temporarily quench your thirst, it’s crucial to follow these drinks up with water as they are dehydrators. You’ll be making several restroom breaks, yes, but it’ll save you from getting parched. Throughout Walt Disney World there are numerous Splash Stations (or Splash Pads, Splash Zones, etc.) waiting to help you and your kiddos cool your jets. These are geared towards children, but I’ve seen the occasional “kid at heart” getting soaked to the bone and finding some refreshing relief from the hot sun. At the Magic Kingdom, the Casey Jr. Splash ‘N’ Soak Station can be found at the Storybook Circus section of New Fantasyland. At Epcot, you’ll find a splash zone just off the walkway that connects the Fountain of Nations and the World Showcase. Near Mission: SPACE and Test Track in Future World you will also find a splash pad. At Hollywood Studios, your littles can get wet at the Honey, I Shrunk the Kids Movie Set Playground or you can get misted by the giant Coca-Cola bottle near the Backlot area. Downtown Disney also boasts splash zones in the Marketplace area. These spray-grounds are a no-brainer for your kids as a way to instantly cool down—just make sure you bring an extra change of clothes if you plan on them getting soaked to keep them comfy afterwards. Yep, this is my favorite way to cool down. Eat a deliciously invigorating Dole Whip. Served at the Magic Kingdom’s Aloha Isle in Adventureland (and Disney’s Polynesian Village Resort), the instant this treat touches your tongue your body will feel the refreshingly cold zing of pineapple soft serve. It works. Trust me. A Mickey Premium Ice Cream Bar is also worth mentioning. The frozen margaritas in Epcot’s Mexico Pavilion work pretty well too. Basically, if it’s a cold Disney treat that sounds enticing to you, give it a go and feel the chill. The first time I spotted someone wearing athletic shorts and a moisture wicking tank top into Magic Kingdom I was struck by just how genius that ensemble was for a hot theme park day. These clothes are designed to keep your body at a comfortably cool temperature while outdoors (and/or while you sweat). Whether you own athletic apparel or not, it’s always smart to go with lightweight clothing if you’re spending an entire day at the Parks when the weather is hot. Heavy cotton shirts will only make you sweat more and for goodness’ sake, let your poor skin breathe a little. Wearing your favorite black skinny jeans in the middle of August might be great for those character photo ops, but your suffocating legs will be begging for mercy. That being said, keep it modest, use common sense, and be comfortable. There is much science behind the effectiveness of pulse point cooling, making it worth a mention when you are trying to find the fastest way to go from overheated to comfortably cool. Pulse points are those places on your body where the blood travels closest to the surface of the skin (namely the neck, wrists, elbows and temples). Placing something cold (a wet washcloth, a chilled bottle of water, etc.) against your pulse points is an effective way of rapidly decreasing your body temperature. As the cold touches your pulse points it will flow with your circulating blood to the rest of your system. There’s no shame in heading to a nearby restroom and splashing your face with cold faucet water. Grab a paper towel, wet it and place it against the back of your neck. As you run the facet, hold your wrists together in a “V” under the cool water and feel the instant relief throughout your body. Though not a 100% cure for heat, these tips will definitely help. It’s a no-brainer, right? If you feel your body becoming overheated, head to the nearest souvenir shop or indoor attraction and take a lungful of air-conditioned relief. There are some attractions that are easy to get into and last longer than others (i.e. The Hall of Presidents, The Country Bear Jamboree, Ellen’s Energy Adventure, etc. ), giving you a much needed break from the unrelenting rays. Better yet, head for a water ride and get doused a little (or a lot depending on the ride!). When the days are hot, Disney keeps their indoor areas quite cold (almost frigid), so you’ll have no problem feeling fast relief. 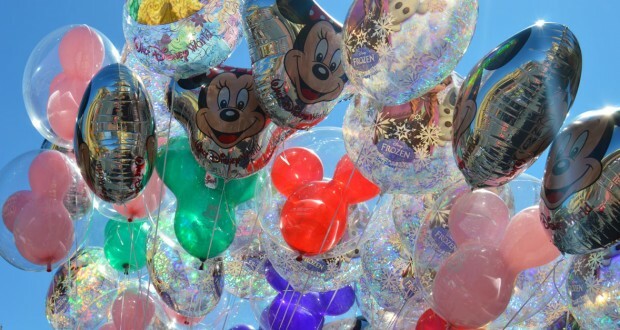 BONUS TIP: For more ideas on how to beat the heat at Disney, consider planning and booking your next Disney trip with an Authorized Disney Vacation Planner you can trust like Mickey Travels. They’ll help you get the best price for your vacation, share expert advice and their services are totally FREE! It’s genius!